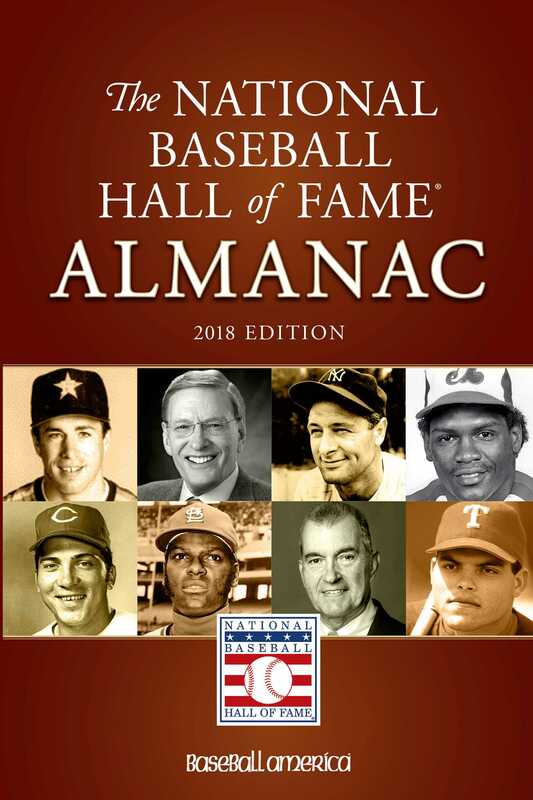 A book for baseball fans of all ages, the Baseball Hall of Fame Almanac brings history to life on every page, with biographies and vivid photographs of every player in the Hall of Fame. You'll get all the stories, all the stats, all the vitals, all the plaques, all you need to know about everyone in the Hall--including the new class that will be inducted in July 2018. Players, managers and executives are included. Baseball's most hallowed hall comes alive in the pages of the National Baseball Hall of Fame Almanac. Every player in the Hall of Fame gets a two-page spread featuring a biography, vitals including awards and postseason appearances, complete career statistics, a full-color, full-page photograph, and an image of their Hall of Fame plaque. Each executive, manager and umpire gets a featured space as well, so everyone of the more than 300 people in the Hall gets their place in the sun. The 2018 edition will include full biographies on all the new inductees, as well as plenty of new photographs. Whether you've been to the Hall of Fame many times or just want to learn more about the players who have reached the pinnacle of baseball achievement, the Baseball Hall of Fame Almanac is a book you'll turn to again and again.